Since September 2012 I have been working towards an M.A.Sc degree through the geological engineering department at the University of British Columbia. The experience to date has been very rewarding and has afforded me the opportunity to further my studies in groundwater hydrology, mining economics, and energy policy. My studies have also led me outside of the classroom. I was fortunate enough to have the opportunity to travel to Iceland as well as complete field mapping northwest of Pemberton, BC during my time at UBC. Prior to beginning my M.A.Sc I worked for over four years at an engineering consulting company that specializes in the design of large open pit mines. 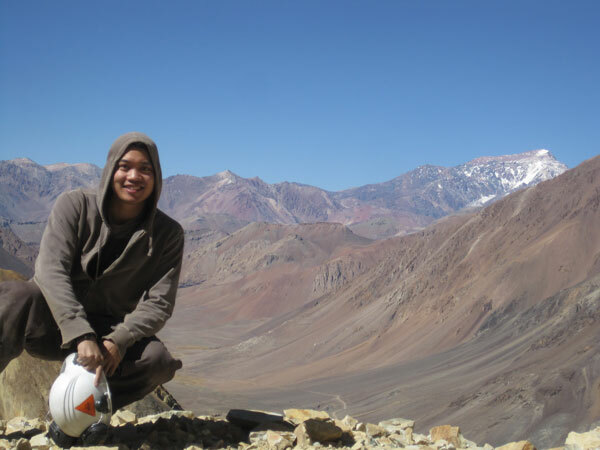 Through my employment I had the chance to work on a variety of mining projects within Canada and internationally that involved field and office analyses that involved the collection and analysis of geomechanical and hydrogelogical field data. When I am not working I enjoy biking around Vancouver, exploring the city for new restaurants, and cooking at home. Project: Assessing the developmental risk of high temperature geothermal projects through an evaluation of geological uncertainty using discrete fracture network modelling. Despite the vast number of high temperature geothermal sites in BC, there has never been a single watt of commercial electricity generated by geothermal energy in this province, or in Canada. This is due to the high exploration and developmental costs associated with geothermal projects. These costs are incurred early in the project life when little site-specific geological data is available. This leads to a situation where large capital investments must be made in order to delineate, characterize, and develop a geothermal reservoir, with no certainty that the reservoir will be able to produce sufficient volumes of heated water at an economically viable rate. This research involves the development of a discrete fracture network (DFN) model for the Meager Creek geothermal site, which is one of the most promising high temperature geothermal sites discovered in Canada. This site was explored extensively between the years 1975 – 1985, and periodically between 1990 – 2010. Several test wells were drilled in the area, all of which were incapable of producing appreciable volumes of water at economical rates. Although a substantial amount of surface mapping and slim hole drilling data was collected, no DFN models were developed for the site. Through the development of a site-specific DFN model, we hope to identify the reasons why past attempts to develop the Meager Creek site were unsuccessful, and if DFN modelling can be used at the prefeasibility level to estimate the likelihood of success of geothermal projects. This project has been supported by the National Sciences and Engineering Research Council, the Pacific Institute for Climate Solutions, and Geoscience BC, and is supervised by Dr. Erik Eberhardt and Dr. John Meech from the University of British Columbia.